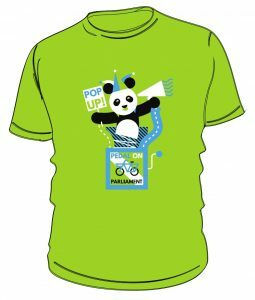 POP goes large in Glasgow! 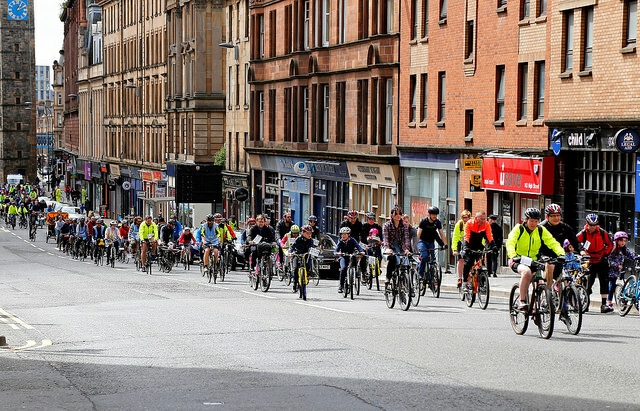 Cyclists including hundreds of families took the fight for a better deal to the streets of Glasgow today for the very first time. 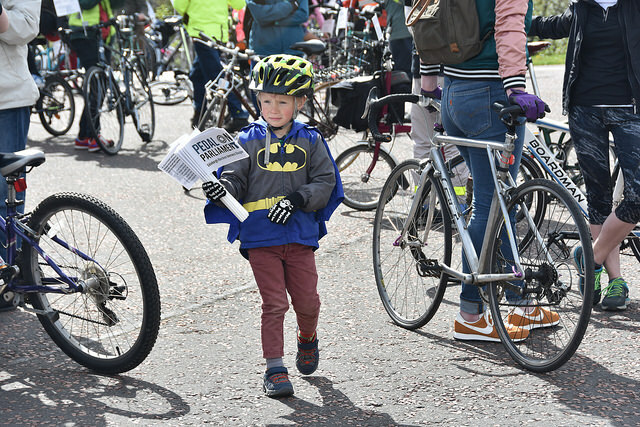 In a continuation of Saturday’s protest rides in Aberdeen, Edinburgh and Inverness, the 6th edition of Pedal on Parliament rolled into the city centre for the first time this afternoon, with a demand for better conditions for cycling. Baking in fine spring weather well over a thousand riders descended on George Square to make their case directly to city leaders and to Scotland’s Transport Minister Humza Yousaf. Across Scotland over the full weekend this totalled over 5000 cyclists all together. 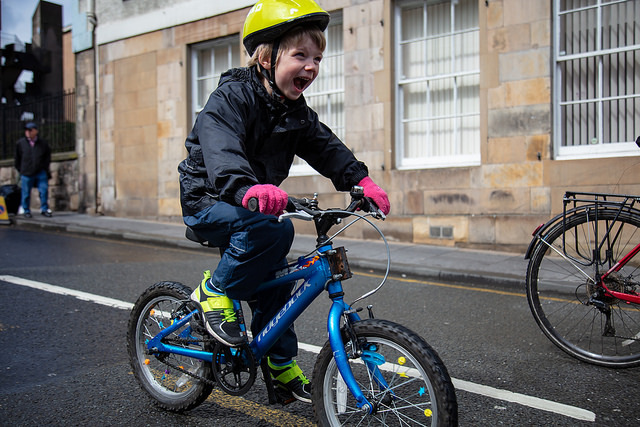 Speaking in front of the City Chambers, local SNP Councillor Anna Richardson said “Let’s make Glasgow a cycle-friendly city for women, children and all our citizens.” She referred to Glasgow SNP’s commitment to the 10% of transport budget for active travel. For Scottish Labour, Councillor Matt Kerr said “Cycling brings out the best in people,” that cycling is “a social justice issue” and “builds confidence in people.” He highlighted Labour’s commitment to a cycling “mini-Holland” pilot in the Woodlands area of the city. 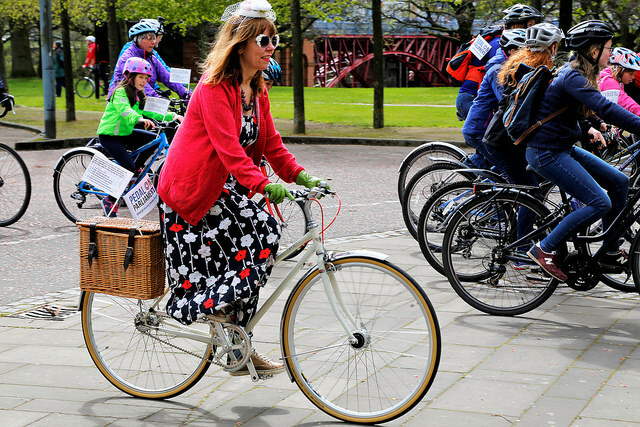 Scottish Green Party Co-convener Patrick Harvie said “Cycling is the ‘superior’ way and the happiest way to get around the city. Every penny spent on infrastructure needs to take into account people on bikes, people walking and those with disabilities”. He went on to highlight the need for a change to land use and our planning system. Paul McGarry of the Scottish Liberal Democrats said “For many the idea of commuting to work seems impossible [and] we need to change that.” Referring to his own experiences of cycling to work he made the case for a holistic planning approach to new developments to ensure cycling. Mark Fiddy, an independent council candidate for Glasgow Southside and who has a visual impairment, talked about making Glasgow much more accessible for people with disabilities. 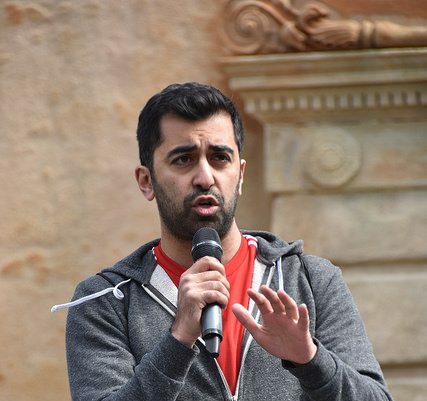 Transport Minister and Pollok SNP MSP Humza Yousaf congratulated the cross-party consensus on cycling and praised the inclusivity and diversity of the cycling community. “Segregated cyclepaths are crucial for breaking down barriers. I promise you, what [Pedal On Parliament] are saying is being heard at the highest level of government”. He then emphasised the importance of cycling amongst children and young people. Organiser David Brennan made his own personal contribution to the day, highlighting the issues in his own council area of East Dunbartonshire, home to the Bears Way cycle path which was controversially halted last year. Addressing the crowd, Dr. Brennan said “It isn’t just about a cycle path – it’s about health; it’s about freedom for children, it’s about air pollution and the environment, and it’s making our towns and cities for people”.